We have become famous for our fun filled, traveling caricature shows across Americs. Our team of travelling artists with decades of combined experience, will amaze you with their talent, professionalism and friendliness! We “Make the Party a Success” every time !! 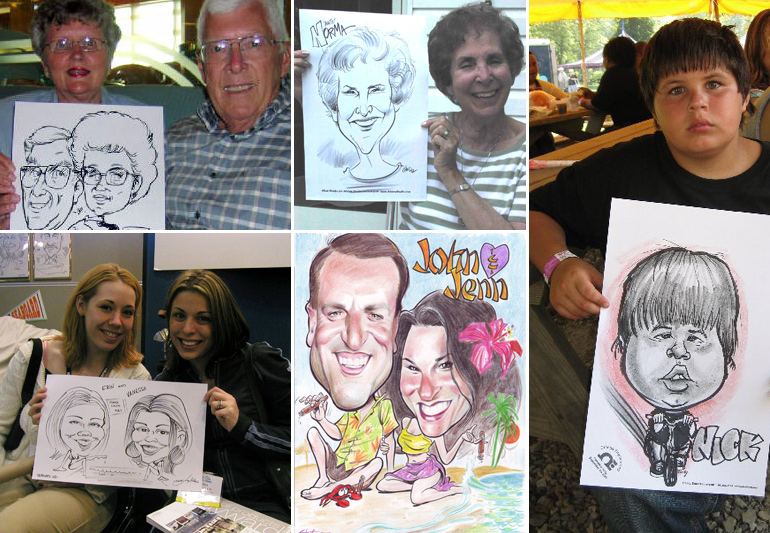 I really want to have a Caricature Artist at my event, but why should I choose Sun Dreams? How quick is each live sketch at a party? We can draw over 11-13 high quality black and white drawings per hour or more. We do this while smiling and chit chatting with your guests to make them happy in under 4-5 minutes each drawing! Color Drawings are done a bit slower, about 6-8 minutes per drawing on average. Are your Caricature Artists able to draw in color or black and white at my event? Does the artist draw just the faces or also little cute cartoon bodies? Custom Drawn Cartoon Bodies and Themes with every drawing!! Not just boring side profiles like many artists offer. 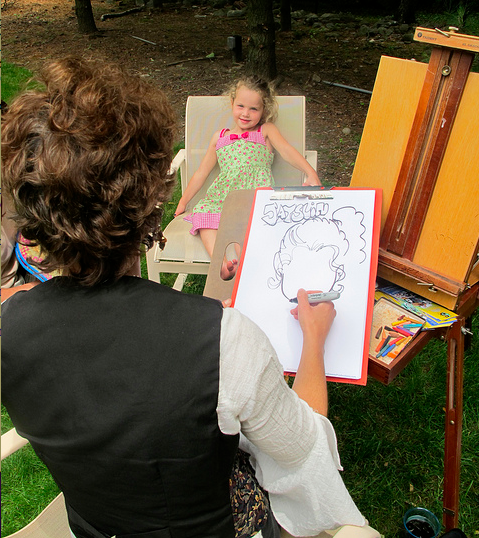 What else is included with Caricature Artists booked through Sun Dreams Productions? Your Company’s Logo or any “Event Message” is Designed and Pre-printed on every papr for FREE! This could be a Happy Birthday Message or a Marketing Slogan! What are some benefits to having a Caricature Artist at my party or event? Your guests don’t have to “wait around” on any “Lines”, we can keep a numbered list so they can enjoy the party and come back when it’s their turn. Although you’ll find many guests really love to watch the drawings as they unravel! Great for breaking the ice!! Perfect to start at the beginning of an event or during cocktail hour! Our Caricatures are fun and silly but flattering!! What kind of add-on or variations can you offer ? Mat Frames and Frames available for additional cost. For More info on Party-Caricatures and Entertainment,check Out Our newly updated Entertainment Section! We can also do Caricatures on T-Shirts!! We work with only the best entertainers and event staff! What kind of parties are Caricatures best suited for? 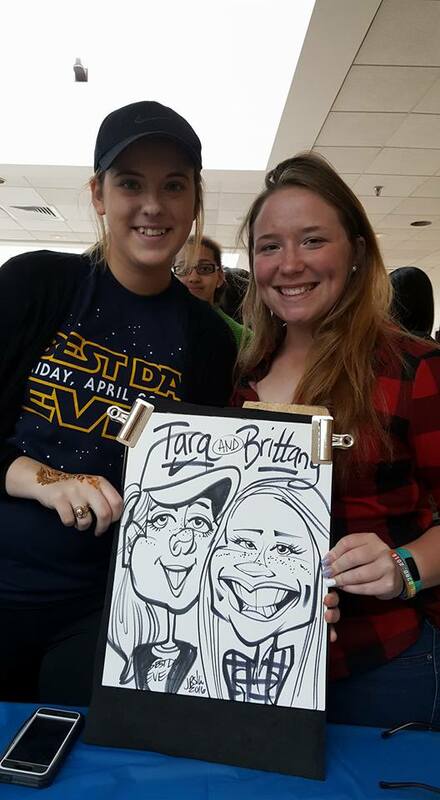 We highly recommend Caricatures for: Corporate Events, Bar/Bat Mitzvahs, Weddings, Showers,Sweet Sixteen’s, High Profile Events, Picnics, Meetings, College and School Events, Trade Shows and more! Can I get a Caricature done as a gift or Sign-in Board? Yes! We do Caricatures as Entertainment at Events, Sign In Boards, Gifts and Illustration. Do you have Caricature Artists available in my town? Yes!! We service your area!! We’re a nationwide talent agency with over 20 years experience.